Apply perspective by putting yourself in the position of your guests. Your party will be easier to plan and that much better. Of course, everybody wants to have a great time. The key point to remember is that we all experience our environment differently. Enjoy placing attention into simple, yet truly important details. You can choose to look at this as a job or you can just have fun. Experience the environment as your guests will from the moment they enter until the time they leave and remember you are creating a memory. Create the environment by adding subtle elements such as the scent of a very lightly fragranced candle, soft or appropriate lighting, music that sets the mood. Remember, all of these things can and should be adjusted in pace with your event and from room to room. Your key is that you are very subtly appealing to all of the senses to create lasting experiences and memories. Ever have a busy day and rush out your door without having enough to eat? Assume that your guests may be hungry or thirsty and have something readily available to them from the moment they arrive. Every one of these concepts applies to every type of event, from the smallest children's birthday party to your most important client appreciation or hospitality event. Lastly, bring in professionals and coordinate with them. When dealing with vendors, remember that the very best are truly artists. Remember, professionals know their business and you want the best they have to offer, so communicate your desires and then listen to their advice. Then let them do what they know best. Believe it or not, the people who make their business in the hospitality industry care as much about the success of your party as you. Just pick up the phone and call the Magician for Philadelphia Steve Wallach! Steve performed on a Yacht in Florida - the power went out - no lights - no hot food... not quite Gilligan's Island but a potential failed event. The event was a success! Steve entertained at a wedding and the caterer ran out of food.. think about it - a wedding and not enough food... The event was a success! You may be asking yourself, "how is that possible" or "what will I do if that happens at my event"? The answer is very simple and very important. Decide right now that no matter what happens you are going to simply "Just Have Fun". This is exactly what the hosts of the parties mentioned above did and it made all the difference. Your guests will follow your lead and your party will be a success even if lightning strikes the building. The answer to your question is YES, that happened too and the only one who was scared was actually... Steve. Lastly, that is why you have decided to bring in a professional Magician. In Philadelphia and the surrounding areas, Steve's business is to help you create lasting impressions and wonderful memories. You want your guests to have a great time and tell everyone about your party. You deserve that after all that you have done to prepare. Are you ready? Nice invitations, great food, great music. Now you have the beginning of a really good party but it still feels a bit too ordinary. You know that you want more. How can you make it extraordinary? That is why you are here and that is why you really want Steve to entertain your guests. Now your party will have that extraordinary touch! Your guests will be talking about your hospitality for years to come and that is exactly what you want. Don't decide yet, now it is time to watch the videos and read the letters of reference and see the real life results that you can expect from Steve. Magician Philadelphia or Philadelphia Magician is the search that brought you here. We live in a modern online world and finding a Magician in Philadelphia or anywhere is now done primarily through the internet. You want your entertainment to be of the highest quality possible and finding a Magician in Philadelphia through the internet may seem to you a bit like playing the lottery. Magicians don't tell their secrets, but this Magician in Philadelphia is going to let you in on a very important secret! 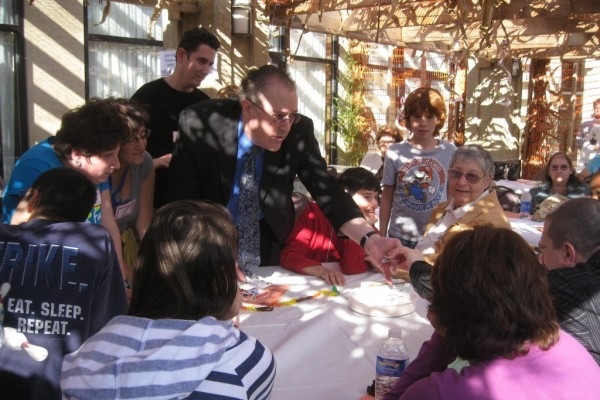 Many Magicians in Philadelphia and the surrounding area have begun to use agents to book shows. 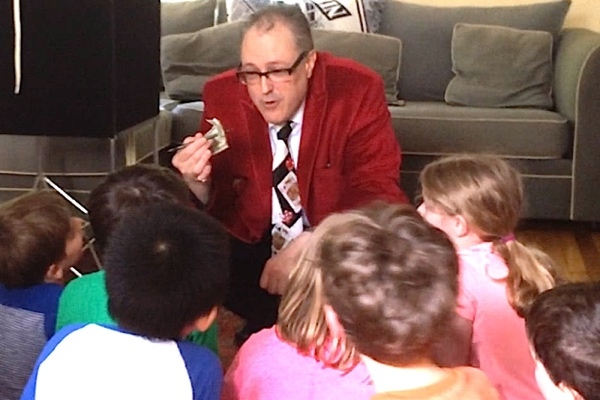 Many part-time Philadelphia Magicians or hobbyists have turned to Magic in Philadelphia to supplement their income and even some professional Philadelphia Magicians have begun to use online agents. What this means to you is that when dealing with an online booking agency you just don't know what you are getting. You deserve better than "Pot Luck"! There still are some qualified offline agencies and your experience will vary. Regardless of that, you will still pay more money for less quality because you are paying an unnecessary fee to a broker.